"The ultimate self-defense is self-awareness."
Shaolin Chi Mantis will donate 18 scholarships of $2,730 value EACH. To be 'given away' in 2018. Applications must be received by August 1, 2017. TRIAL SEMESTER starts September 1, 2017. One-Year Beginner Program of Shaolin Chi Mantis begins January 1, 2018. Shaolin Chi Mantis is a traditional Chinese Gongfu school that includes Buddhism and 'closed-door' teachings. Shaolin Chi Mantis teaches Chinese weaponry and requires loyalty and dedication. Our student motto: "Truth, wisdom, and courage," requires our students to protect and serve their communities. Our affiliate school, Tai Chi Youth, is a nonprofit organization with minimal entrance requirements and scholarships for youth at risk. We recommend and enroll most students here first. Shaolin Chi Mantis has not accepted any new members since 1996. In 2018, Shaolin Chi Mantis will open its doors to 18 potential disciples. Although they must first pass the initiate requirements of Kung Fu moves and bookwork, they will not be required to be "initiated" unless they choose to continue in SCM during 2019. Full membership in Shaolin Chi Mantis requires passing a difficult Initiate Belt Test. If a student passes the Initiate Requirements and submits other traditional requirements, they can be accepted into SCM through a Buddhist Initiation and Naming Ceremony held once a year. This Initiation Ceremony also includes the traditional Buddhist head shaving (boys and girls). 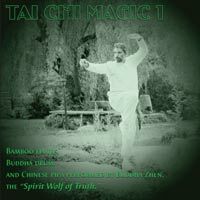 Buddha Zhen's MASONIC KUNG FU book details a Chinese Kung Fu initiation ceremony. 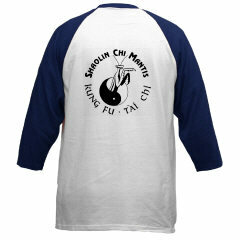 Shaolin Chi Mantis is for the very dedicated students seeking both spirituality and Gongfu. Tai Chi Youth requires no initiation or head shaving. TCY is nondenominational and has programs taught in elementary schools and senior retirement homes. Visit Tai Chi Youth for more information.